Sarah Nader - snader@shawmedia.com Adrienne Tarzian of Algonquin works at Morkes Chocolates in Huntley Friday, April 7, 2017. The chocolate shop is asking seeking a liquor license. 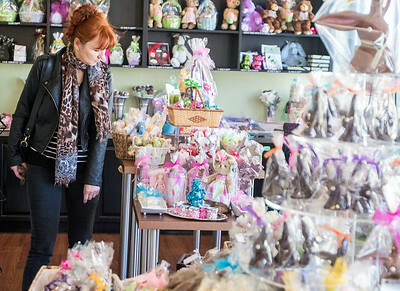 Sarah Nader - snader@shawmedia.com Tetyana Torzhevska of Huntley shops for chocolate at Morkes Chocolates in Huntley Friday, April 7, 2017. Sarah Nader - snader@shawmedia.com A view of Morkes Chocolates in Huntley Friday, April 7, 2017. The chocolate shop is asking the Village Board for a liquor license. 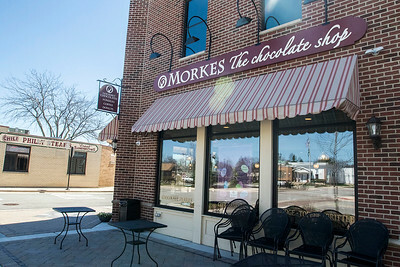 A view of Morkes Chocolates in Huntley Friday, April 7, 2017. 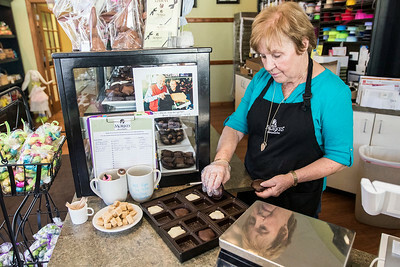 The chocolate shop is asking the Village Board for a liquor license.